Perfume Market in China: For perfume industry China has been a vague market until recently. Formerly, Chinese citizens were not used to wearing perfumes on daily basis. Culturally wearing a perfume wasn’t a norm like in other countries. Perfumes also cost more than skincare and cosmetic products, therefore general public wasn’t too much inclined to own an expensive bottle of perfume. It is no secret that behavior and cultural trends of Chinese market are changing due to increased disposable income and westernization. Now, in first tier cities, where people have more awareness about luxury brands prefer to buy a Chanel perfume than a Chanel bag, which is still a luxury product but little less expensive. There are several cheap local perfume brands mushrooming seeing the demand and captured 20% of the market share but so far there has been no leading brand in Chinese market. On the other hand, according to data of Euromonitor International report on Perfume Market in China, sales of International premium fragrance brand grew by 2.2% during 2016 and market of domestic fragrance brands dropped by 3.6%. Several Marketers have suggested that Chinese Fragrance Market is complicated. As stated by Olivier Verot, CEO of renowned Digital Marketing Agency of China, “China’s Fragrance market is certainly different and cannot be compared to fragrance markets of South Korea and Japan or any western countries”. For Fragrance market one need to take completely different approach to target the market. Gentlemen Marketing Agency, created a marketing campaign for Guerlain and Perums du ChÂteau de Versailles in China. To attract distributors, there was a trade fair conducted and hundreds of female Chinese consumers and Caucasian models were photographed in baroque-style Versailles costumes. According to Olivier, “Chinese distributors are very sensitive to such show-style inventions and this was a good way of launching a new fragrance to target multi-brand shops, where these distributors hold key place”. 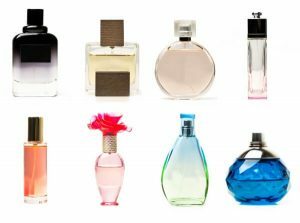 What type of fragrances are preferred by Chinese customers? Wan, from Euromonitors states that, Unisex fragrances appeal more to Chinese customers. This can be believed, as unisex fragrances experience fastest growth in 2016. Observing this trend international brands have been capitalizing on promotion of their premium unisex fragrances in China. Fragrances like Un Jardin Sur le Nil by Hermes, Light Blue by Dolce & Gabana, L’Eau Froide by Serge Lutens, Silver Mountain, Water by Creed and CK One by Calvin Klein were the popular International fragrances among Chinese consumers. At another instance, reports from ‘Baidu Index’ also indicated that male fragrances were inquired quite a number of times by Chinese consumers and hence male fragrances are most popular as compare to other categories. 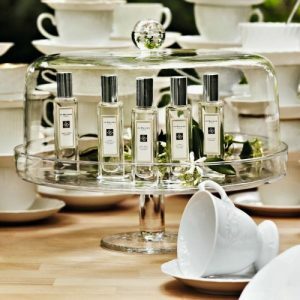 Niche, brands like Estee Lauder-owned label Jo Malone and Labo have also gained popularity in recent years. Many young Chinese who seek to express their individuality wear these perfumes. This pattern was noticed by increased number of store openings during 2014-2016 in China in first tier cities. 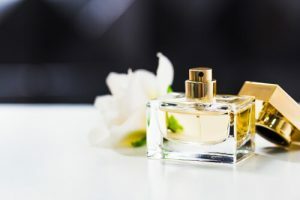 Observing the current trend and increase in fragrance demand for International brands among Chinese, Euromonitor’s Wan says that, Chinese doesn’t seem to skip the usage of fragrances”. Although, Chinese market is challenging to enter for International brands due to price gap. Presently, Chinese consumers purchase International fragrances from overseas duty free shops. This way Chinese consumers try to avoid fake fragrances available on Chinese E-commerce sites and get a good price for the international brand fragrance. International Fragrance Brands can enter Chinese Market Digitally! International Fragrance Brands can partner with reputable Digital marketing Agency with considerable experience in promoting International Fragrance brands in China. This local digital agency must have wide range knowledge of Chinese culture and behavior patterns. Such a digital marketing agency is equipped with right set of skills to find a “sweet spot” between the International brand value and preference of Chinese consumers. Two solutions are optimal for entering Perfume Market in China via Digital Eco space of China. One, Branding and Two, presence on E-commerce website. As stated earlier, Chinese consumers consider International fragrance brands as luxury product hence fragrance needs to resonate with the Chinese audience. Secondly, International Fragrance brands needs to gain trust of Chinese customers by building e-reputation in order to gain popularity among customers. The marketing campaign must contain the “awe” factor. It is highly important for International companies to understand the local culture and demands before it translates its offerings. By holding presence on reputable Chinese E-commerce website, the International Brands appear genuine and trustworthy in the eye of Chinese customers. Previously, Chinese customers avoided purchasing International Fragrance brands from untrusted and bad reputed E-commerce website which are known for lenient policies and allow any type of product to be sold. Following is a list of reputable, trusted E-commerce websites having high market share and popular among other international brands for entering Chinese E-commerce market. However, due to cultural barriers, language difference and strict e-commerce platforms policies it is not easy to gain access to authentic E-commerce website of China but Gentleman digital marketing agency can assist International Brands to enter and capture Chinese E-commerce market seamlessly. TMALL has invitation-only policy where only qualified international brands can either be invited to join or can apply through a local digital marketing agency. TMALL holds the biggest market share in e-commerce market of China at 57%. It mainly focuses on premium brands. This characteristic makes TMALL most expensive e-commerce marketplace in China. It provides an opportunity to International brands to open exclusive online stores and directly sell products to Chinese consumers without being physically present in China. JD.com is China’s largest online direct sales company. 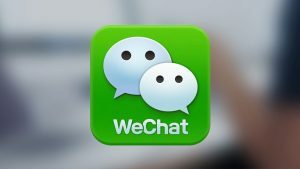 It relatively has less market share than TMALL.com. International companies can open individual online stores on JD.com. JD’s cross-border service enables suppliers to sell directly to Chinese consumers without a local presence. 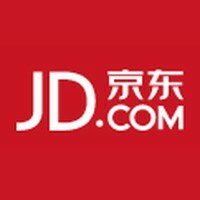 JD.com is less expensive than TMALL.com. JD.com has a zero tolerance policy for counterfeit products. Above listed are a few options that are mainly used to enter Chinese E-commerce market. To learn about more solutions, on how International Brands can enter Chinese E-commerce market, contact us for a friendly discussion and learn about your brand’s prospects. How can one order for some goods,i need some perfumes for business. How do I buy international brand perfumes from China. For example: PURE Poison by DIOR 100ml.